77 Storage Place is proud to offer fantastic storage options and competitive prices, plus customer service that can’t be beat. Come experience the difference that comes with getting the best customer service around. Pull your vehicle right up to the door of your unit for easy loading and unloading. We offer a range of boxes and moving supplies available for purchase from our office. Pay your bill whenever it's easiest for you, from wherever you are. Our facility is easy to find and perfectly located for the city of Norman, OK and all of the surrounding communities. You’ll find us at 3650 Classen Blvd near Active Ice, Walmart, and Norman Automotive. If you live in Purcell, Lexington, Slaughterville, or Newcastle, allow 77 Storage Place to help you with all of your self-storage needs. The first app designed for self-storage tenants and renters. Download it now! 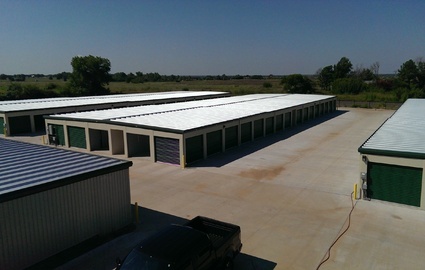 Your Norman, OK Storage Solution! All of our interior units are located on the ground floor. They are also highly insulated, protecting your books and furniture from harmful moisture, heat, and freezing temperatures that can cause swelling or other damage. Our outdoor units are located on the ground floor and drive-up accessibility. These features will make your move-in day as simple as possible! Our office even carries moving and packing supplies for purchase. Perimeter fencing and security cameras provide a certain level of safety to you and your belongings that you have come to expect at a modern storage facility. 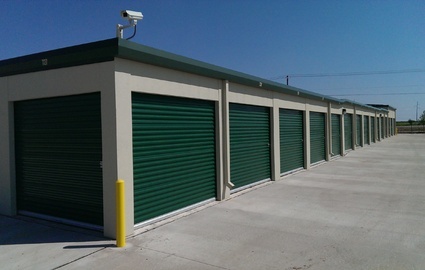 But at 77 Storage Place, our facility is newer and more updated. We like to take extra steps to protect you and your property, so we offer units that open to an interior hallway, giving you an added level of security for your unit. Additionally, our facility is gated and requires a key code to enter.